For 44 years, main owner and CEO Per Malmberg has run Malmberg Group to a successful company in cleantech. During Mr Malmberg’s leadership, the company has grown considerably and the group turnover is approximately SEK 500 million, based on "pure energy and clean water". 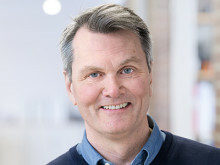 Per Malmberg will now be chairman of the Malmberg Group. New CEO becomes Sara Malmberg. It is an experienced person who takes over. Sara has been working in the company for 14 years and today successfully runs one of the companies involved in well drilling and building geothermal energy plants. A business of approximately SEK 125 million. Sara continues with this role but now also takes over the CEO's role. Sara is the fifth generation of Malmberg who runs the company, which is considered unique in Swedish industry. "As a new 70 year old, you can look back on exciting decades of Swedish environmental technology, and not least for Malmberg as a leading company in this industry. I am pleased that both my children have chosen such a future industry. I wish Sarah every good fortune to take Malmberg into the future. "Cleantech is the future and it feels good for me to lead Malmberg into it. Malmberg is strongly associated with experience, competence and quality. There is a lot to live up to but with all the amazing "Malmbergers" I'm sure we can grow and develop even more. Sweden is the forerunner of environmental work and I am sure that our services will be highly demanded both in Sweden and worldwide.